I am not going Postal but Coastal for a change. All Summer I have been waiting for this addition to my stash to arrive. I saw the preview of this collection on the Fat Quarterly blog one day and was immediately hooked. The creative mind behind this fabric is Emily Herrick from Crazy Old Ladies Quilts. I have no idea why the blog is called like that but I can assure you there is absolutely nothing 'Old Lady' about this collections. It is colourful, fresh, innovative and vibrant. This isn't the entire set as I think Michael Miller have some trouble with the delivery but this will already give you a fair idea about the fabulousness of it all. So cute! 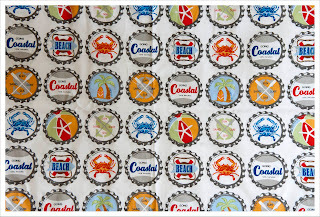 I really love the crabs print and you're right about the bottle caps. I can't wait to see what you make with it! 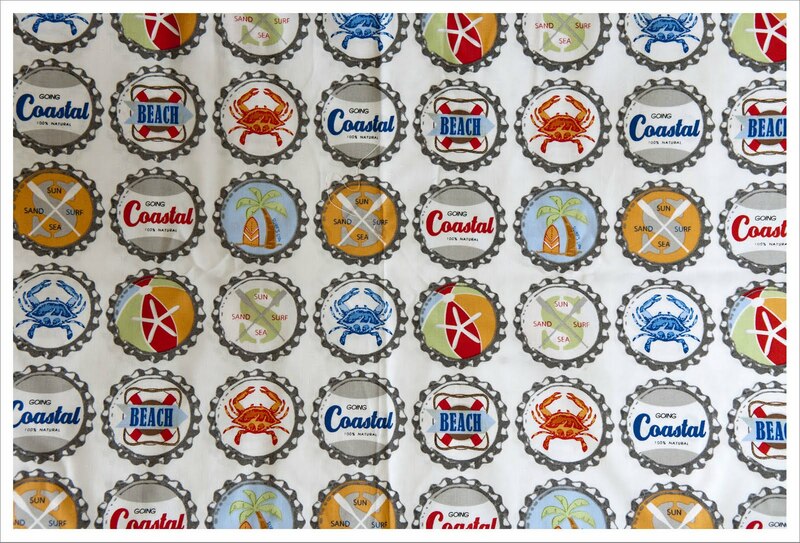 I love the bottle tops print - looking forward to seeing what you make! I love all those prints, and the bottle tops would make a great backing. Great buy! 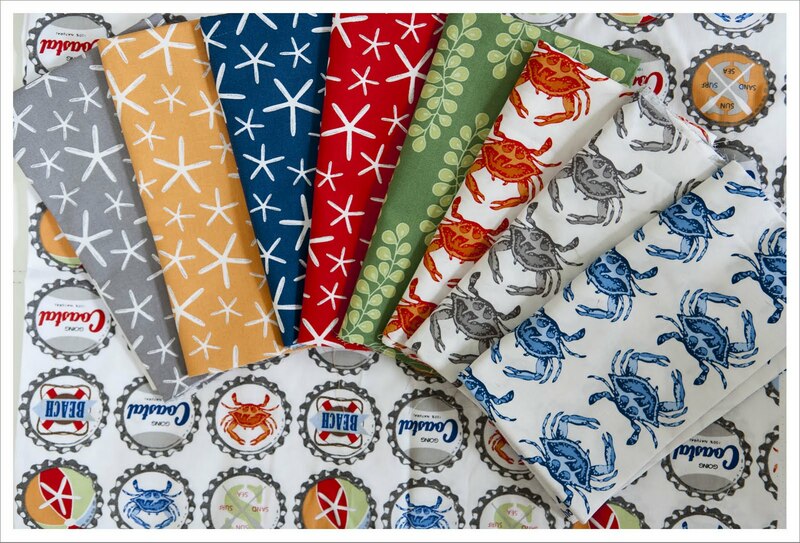 Love it - being a Cancerian, the crabs are great! 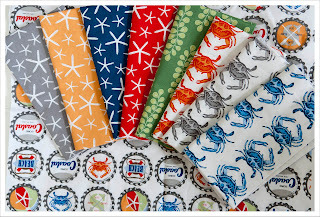 Great line, not sure about the crabs but love the bottle tops, great for fussy cuts. Yep love those bottle tops! I remember seeing this range and thinking 'at last fabrics for a boy quilt' yay! I agree the bottle tops is a fantastic print.